A centralized community of clubs at Lynbrook High School. 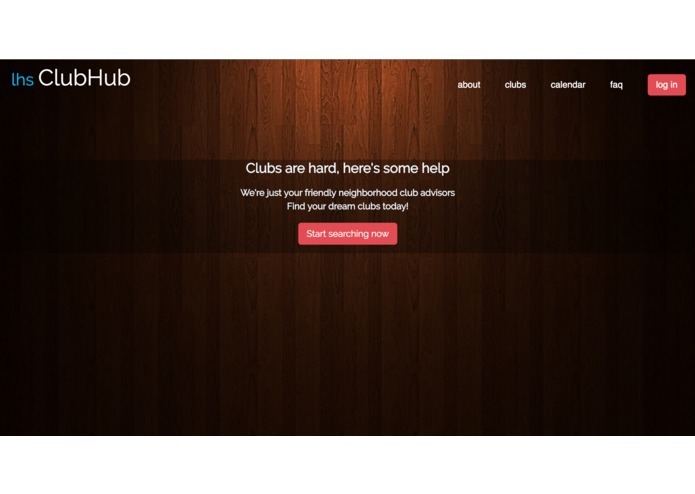 We wanted to make it easier for students to find clubs they are interested in. Creates a use friendly platform in which students can search, organize, and follow various clubs. Finding and learning how to use APIs was a huge challenge we were presented with. We successfully created a live working website at our first ever hackathon. We learned a great deal about HTML and CSS, two languages none of our team members had much experience with. We plan to finish unimplemented methods and to present this idea to our school for student use.